The last week of school – it’s all about fun! 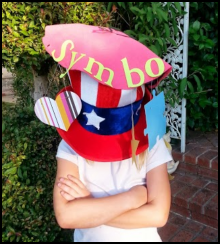 My youngest daughter’s last big assignment was to make a vocabulary hat. We had a blast thinking about it, buying the hat to use for the foundation, and using the Cricut to cut out the symbols.